Last fall, Hurricane Maria devastated the island of Puerto Rico. Houses were flooded and people were trapped in their homes, running on a short supply of food and water. 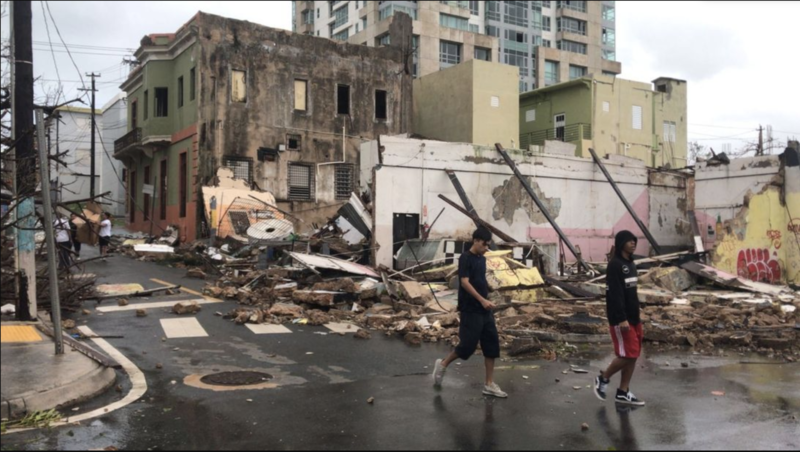 The immediate death count by the Puerto Rican government was marked as 64 people, but many Puerto Ricans and experts believed the number to be much higher. The majority of the deaths came as a result of the aftermath of Maria, and not necessarily directly from the hurricane itself. In February, the final death count appeared. George Washington University researchers discovered that 2,975 people, often without shelter, proper food or water, died as a result of the hurricane. And this number could be even higher as a lack of training for physicians on how to certify deaths as well as general confusion could lead to a smaller number of deaths being certified as hurricane-related. Fox News highlights some of the tragic lives cut short due to the effects of the hurricane, including 18 year-old Patricia Nicole Figueroa Colón, who died on impact as she was hit by a speeding car due to the lack of street lamps and traffic lights that were damaged in the storm, and Joaquín Solivan Ocasio, who was unable to get a diagnosis back due to power outages. His wife received the news that he had blood cancer, which was treatable, two weeks after his untimely death. The President of the United States of America denied the deaths of nearly 3,000 people to suit his political narrative. He told Diana Berrios Santiago that her husband’s death had not occurred because of Hurricane Maria. He told Patricia’s mother that their daughter had not died due to the lack of power. Donald Trump dismissing the lives lost in this partially avoidable tragedy is not in itself the issue. The problem, however, is the thousands, if not millions, of people who take his word as gospel and will believe this. From the 2016 primaries to now, Donald Trump has garnered a fiercely loyal group of supporters that view the media as propellers of “fake news” and see the President as candid and honest. Thus, they believe all of his tweets, despite having no evidence to support his claim. Lives were lost. Families and homes were and are being torn apart. While is it is easy to deny the damage caused, it is much more difficult to take action and attempt to rectify the situation. President Trump has chosen to take the easy way out and, by doing so, limits the sustenance, funds and support offered to Puerto Ricans struggling and recovering from Hurricane Maria. Next articleMilken culture: What do we miss?